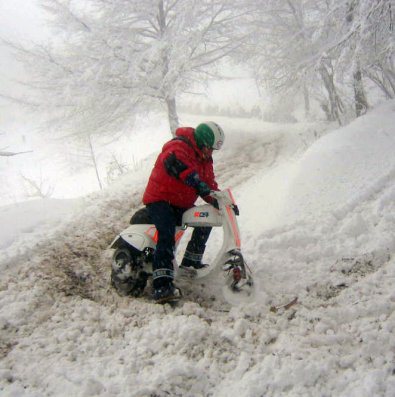 Scooters and snow finally make peace? But . . . if you want to play it completely safe, you can take an imaginary ride around in your Department 56 Snow Village. 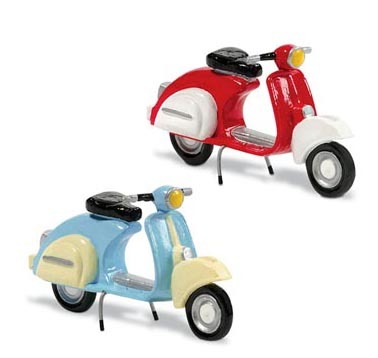 This little set of scooters measure approximately 3″ X 1″ X 1.75″ and are $20. The Walter Dorwin Teague-ish garage I show them in front off is a retired piece but probably can be had with some searching on eBay. Thanks to Julie G. for this great find! 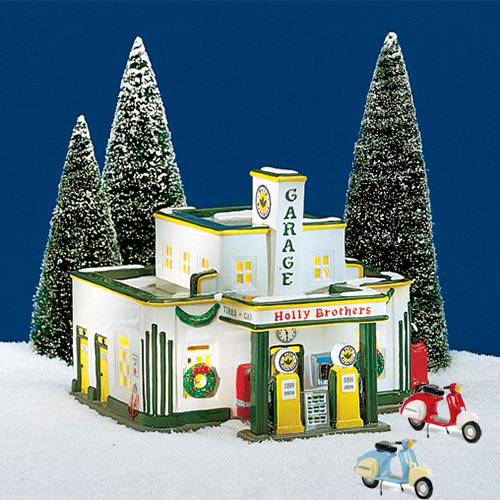 This entry was posted in Holiday, Models, Figurines and tagged christmas, department 56, Holiday, miniature village, scooter, SIP, vespa by Tracy. Bookmark the permalink.